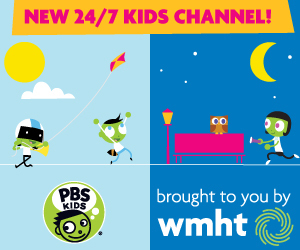 PBS KIDS announced Blob Chase, the first mobile app from its newest media property ODD SQUAD. 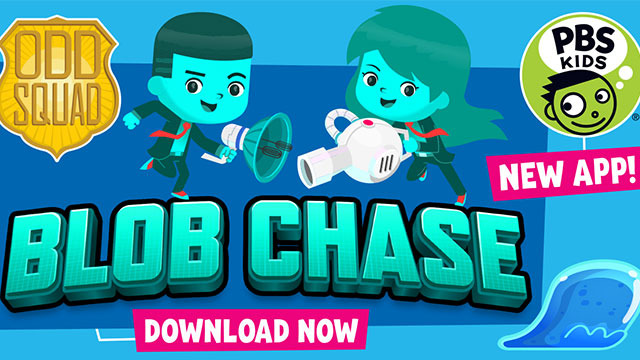 Available for iPad, Android tablets and Fire tablet, ODD SQUADBlob Chase extends the adventures and humor of theseries, as kids chase and recover blobs that have escaped their containers and are on the loose in Odd Squad headquarters. The new app encourages kids to use math skills to investigate and solve problems, just as the agents do in the new series. ODD SQUAD, which premiered in November 2014, airs weekdays on PBS KIDS and offers games, videos and more at pbskids.org/oddsquad. The app debuts in tandem with an all-new on-air special: “Odd Squad Saves the World,” which premieres Monday, January 19, on PBS KIDS. The ODD SQUAD Blob Chase App includes 60 levels of gaming in which kids use math skills to get blobs across bridges, over walls, through tubes and eventually back into their containers. To discover which gadget will work best for each particular challenge, kids problem-solve using addition, subtraction, multiplication and division. ODD SQUAD is created by Tim McKeon (Foster's Home for Imaginary Friends, Adventure Time, The Electric Company) and Adam Peltzman (The Electric Company, The Backyardigans, Wallykazam!) and produced by The Fred Rogers Company and Sinking Ship Entertainment. ODD SQUAD is funded by the Corporation for Public Broadcasting (CPB), as well as by the U.S. Department of Education through the Ready To Learn Initiative, a program that supports the development of innovative educational television and digital media targeted at preschool and early elementary school children and their families. Blob Chase is part of PBS KIDS’ ongoing commitment to using the power of media to help kids succeed in school and in life. The organization offers a variety of apps to help support children’s learning. More information on PBS KIDS apps is available at pbskids.org/apps. Blob Chase is available for $0.99 for a limited time on the App Store for iPad or at www.AppStore.com/PBSKIDS. The app is also available for $0.99 for a limited time on Fire tablet on the Amazon Appstore: http://to.pbs.org/kidsappsamazon and Android tablets on Google Play: http://to.pbs.org/kidsappsplay.